Keratin blockage in the ear canal is known as keratosis obturans. Desquamated keratin starts accumulating in ear canal i.e. external ear canal. It is a rare disorder. Keratin plug blocks ear canal at inner half of ear canal. Keratin is a protein which is present in skin and nails. It is responsible for giving strength and rigidity to nails and skin. Highly keratinized skin is more prone to keratosis obturans. Epithelial layer of skin is naturally designed to move from the center of ear drum toward walls of ear canal. This epithelium when mixes with sweat and moisture in ear, it makes ear wax. But keratinized plug is different from ear wax. Keratosis obturans occurs due to keratin accumulation in ear canal. This keratin accumulation leads to erosion of the bone of ear canal. Patient feels severe pain which may radiate from ear to whole face including jaw line and eyes. Patient may suffer from hearing loss. Tinnitus is the common symptom reported. Accumulation of keratin is itself is not an infectious process but can lead to infection. Patients with compromised immune system are more prone to ear infection as a result of keratosis obturans. Movement of epithelium of skin towards walls of ear canal is normal. But in keratosis obturans, something hinders the keratin movement towards ear canal and as a result it starts accumulating in the inner half part of ear canal. The keratin starts piling up in ear canal and blocks it while skin keeps shedding off. Increase in shedding of skin leads to complete blockage of ear canal. Patients with highly keratinized skin are more prone to keratosis obturans. At initial stage of keratin accumulation, patient will start showing symptoms. Piling up of skin keratin can be removed mechanically from ear canal. A microscope is required for that purpose. Inner half part of ear canal is the most sensitive part of ear. 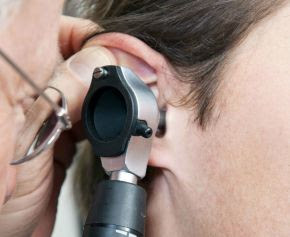 Special care is required for removal of ear canal obstruction. Some there may be nerve exposure at the base of pile of keratin, so special care is strictly needed. Keratosis obturans is a different condition from normal wax accumulation. So it is treated once and then patient have to follow some preventive measures to stop it's recurrence. Once the debris is removed, it's symptoms will disappear too. After removal of ear canal debris, patient is asked to clear his ear canal regularly with cotton bud. It will reduce or eliminate the recurrence of keratosis obturans. If doctor have prescribed any medication, then patient have to take it to control the irregular epithelium flow. As keratosis obturans involve the inner half part of ear canal, so it's regular removal may not be an easy task. So most of the patients prefer mechanical removal of ear canal debris again and again after specific period of time. Patient have to avoid water contact and moisture, is it can make the condition severe.